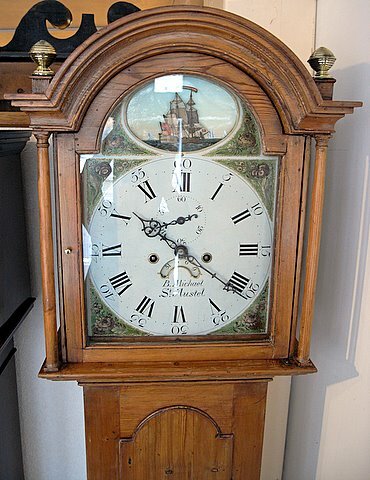 An early 19th century pine automata longcase clock with an eight day two train movement with an hourly bell strike, driven by two weights and regulated by a pendulum. 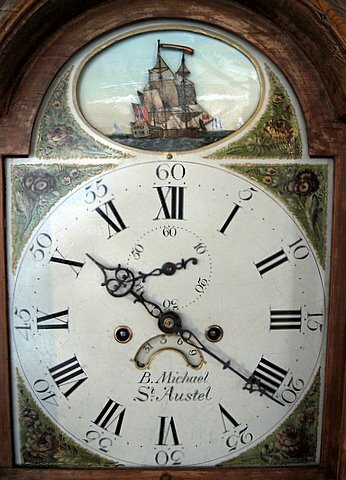 The painted arch dial is inscribed B. Michael, St. Austel. 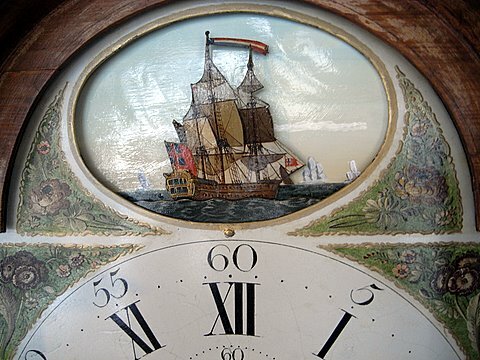 Secondary dial, date aperture and to the arch a marine scene with a rocking man o' war to the foreground. Height 80" x max width 16" x max depth 9".